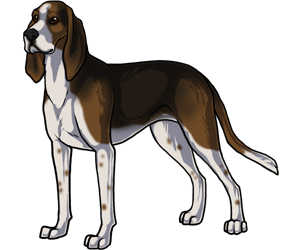 The Treeing Walker Coonhound was bred from the Walker Foxhound which is descended from the English Foxhound. It still closely resembles the English Foxhound, but its hunting style is different as it is more persistent in keeping quarry treed and barking more to attract its owner's attention. The Treeing Walker Coonhound was accepted into the AKC Foundation Stock Service in 1995. 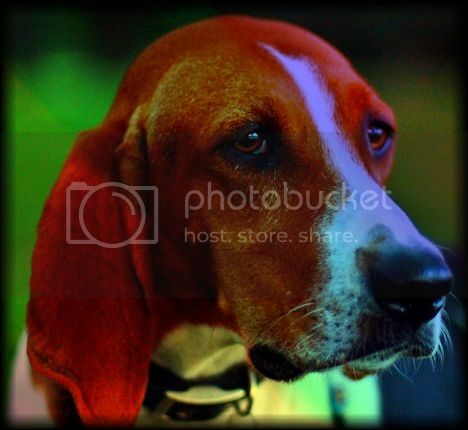 The Treeing Walker Coonhound is the American Kennel Club's 174th breed. Is a descendant of the English Foxhound. Extremely fast, agile, and tireless when in pursuit of game.